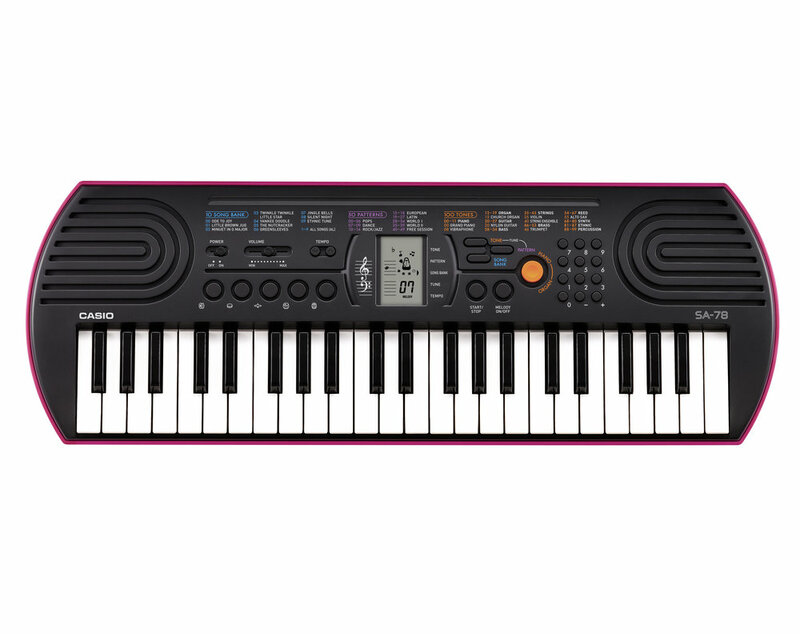 Designed for little fingers, but with lots of features to keep the whole family entertained, the SA-76 Mini Keyboard is a colourful and fun introduction to music. FOr their first steps in music.. Designed for little fingers, but with lots of features to keep the whole family entertained, the SA-78 is a colourful and fun introduction to the world of music. The SA-78 is really easy and fun to use. 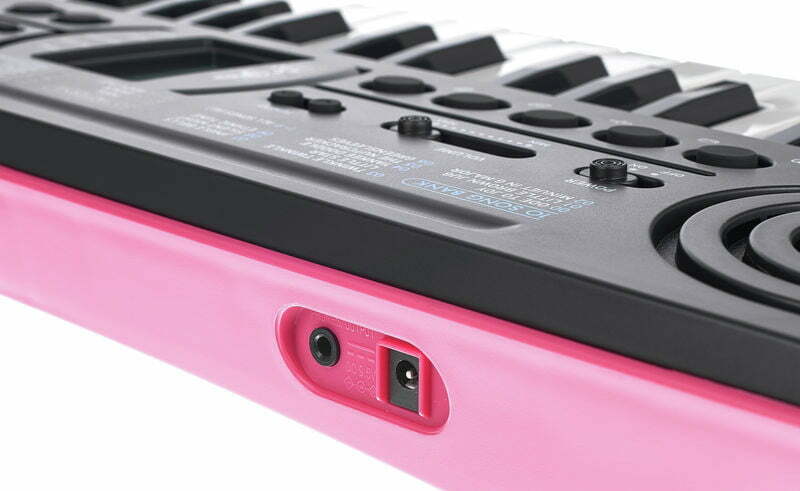 Play along to any of the built-in songs or compose your own using the 44 mini keys. See the notes appear on the LCD screen as you play. The 100 instrument sounds and 50 drum rhythms are perfect for any style of music you wish to create. The 5 drum pads give you a virtual drum kit, too. Battery powered, with mains AC option.